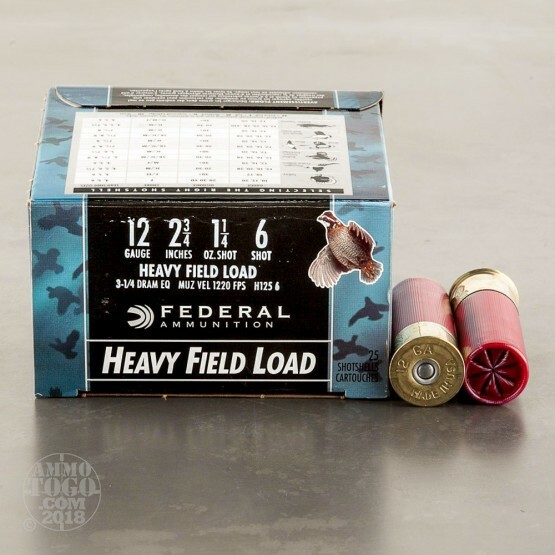 These price efficient 12 gauge loads from Federal are a versatile choice for taking small game and upland birds with your favorite pump-action or semi-automatic shotgun. 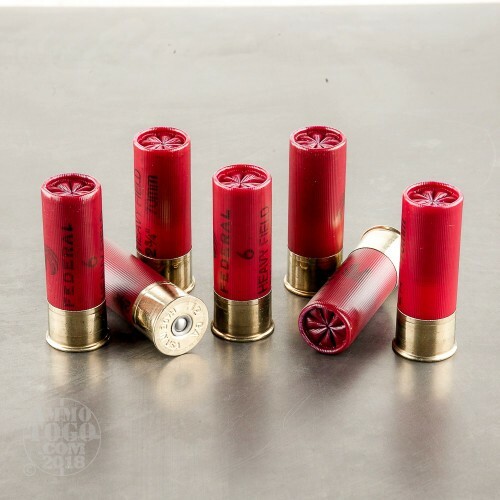 Each shotshell is constructed using a moisture resistant hull fitted to a high quality brass head which is equipped with a clean-burning primer. Inside each shell is a crush-ready, plastic wad which is sandwiched between a high energy powder charge and 1-1/4 ounces of #6 size lead shot. 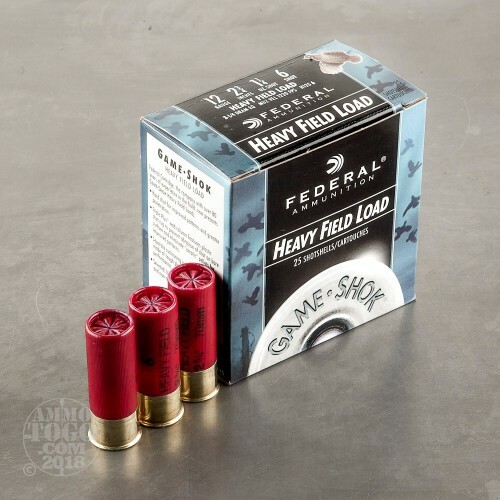 This wad design is intended to cushion recoil while protecting the shot pellets from flat-spotting and contributes to tighter patterns, extended effective range, and increased terminal effect. That means that your scattergun will easily drop squirrels, rabbits, grouse, pheasants, and even turkeys at medium distance. 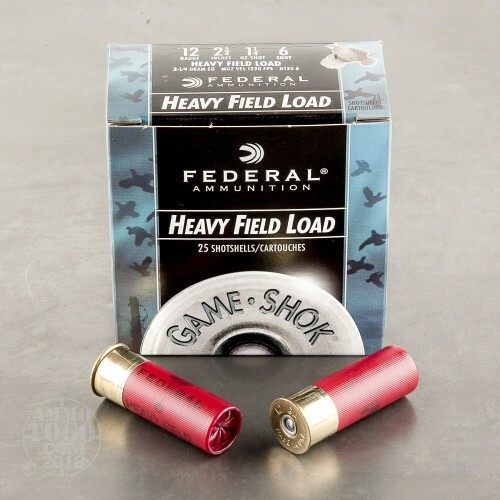 Federal maintains tight quality control of their shotshell production by using components which are made completely in-house, the best in autonomous technology, and a refined inspection system which relies on well-trained human eyes and hands to make the final call before boxing. Federal's reputation for performance stems from successful hunts, decades of law enforcement records, and Olympic gold medals awarded to the United States shooting team.